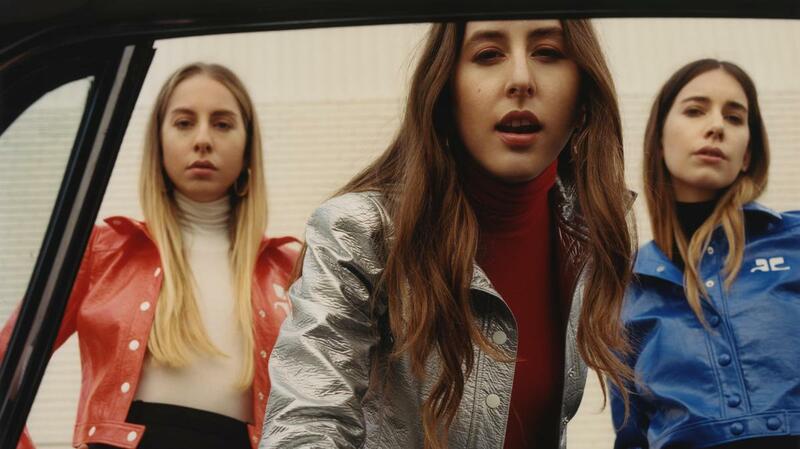 Haim announced on Thursday (Apr. 27) that their second album, Something to Tell You, is due out on July 7. The sibling trio, who are performing on Saturday Night Live on May 13, also released a Paul Thomas Anderson-directed video of them playing the first official taste of music from the upcoming release, "Right Now." The clip for the spare, moody rock tune finds Este, Danielle and Alana Haim laying down the track in the studio. The album represents a reunion with producer Ariel Rechtshaid, who worked alongside Rostam Batamanglij (Vampire Weekend).